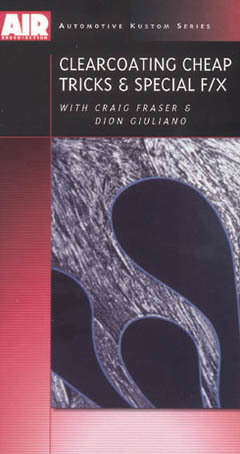 Here's the DVD compliment to Craig's book of the same title! Learn all the top pro tricks to help you get the job done more quickly, easily and efficiently, including pinstriping, surface prep, masking, freehand airbrush techniques, and much more! You'll learn how to work on metal surfaces, slash striping, palletting the brush, use of lacquer thinner, drying times, working with fine-line tape, negative and positive space, flame layout, use of precleaner, painting on a motorcycle tank, use of Skullmaster stencils, masking techniques, the granite effect, highlighting, how to avoid overspray, health & safety issues, wood grain texture, discussion of binders, reducers, and solvents, working with Kandy colors, paint mixing techniques, and products to use. "In custom painting, there&s a simple, and true, rule of thumb: The faster you complete a job, the more money you&ll make. 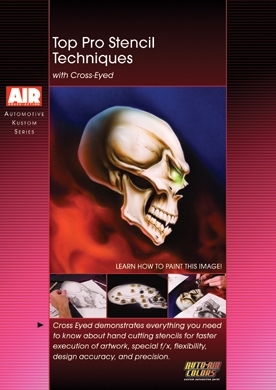 In the courseof painting a dramatic evil skull, Cross-Eyed demonstrates everything you need to know about hand cutting stencils for faster execution of artwork, special f/x, flexibility, design accuracy, and precision. 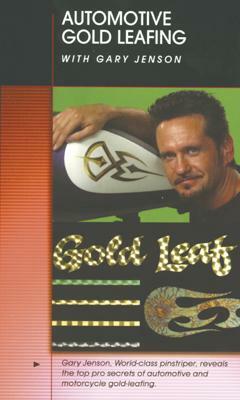 Gary Jenson, world class pinstriping master, reveals the secrets of gold-leafing for automotive applications as demonstrated on metal panels and a motorcycle tank. In-depth product instructions and top pro tricks make this the only video of its kind. Available on DVD. 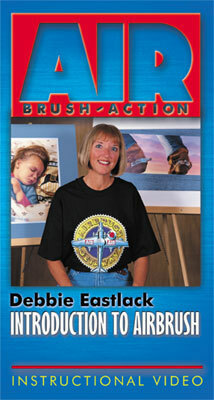 Debbie Eastlack provides excellent beginning airbrush instruction, demonstrating the techniques and principles relevant to all airbrush applications. 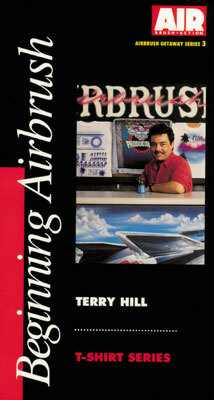 You'll learn the important differences between single- and double-action airbrushes and how to use them, gravity-fed versus siphon-fed airbrushes, the mechanics and anatomy of an airbrush, how to hold an airbrush, how to master trigger control, freehand skills, types of masking and how to apply them, highlights, how to change colors in your airbrush, how to clean your airbrush, troubleshooting tips, how to avoid tip dry, spidering, barbells, and paint trailing. Exercise drills include hard and soft lines, targeting for line control, distance exercise, cut and blow as you go, the flare stroke, loops, gradations, the cube and sphere shapes, and much more. Also available in DVD. 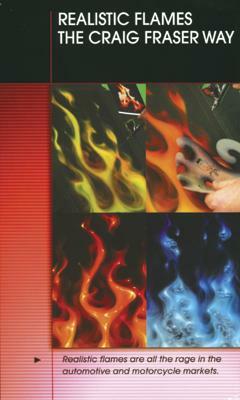 Realistic Flames are all the rage in the motorcycle and automotive kustom markets. 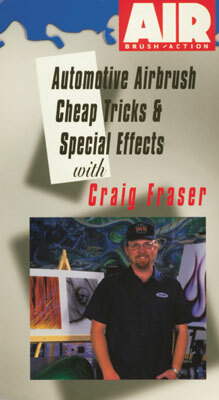 In the first video of its kind, Vargas legend Craig Fraser reveals all on how to render killer regular and blue flames for huge profits and turn-head results. Available on DVD. Learn how to produce highly profitable 3-dimensional motorcycle tanks and fenders using Dennis Matthewson's innovative techniques. In this presentation, you'll learn step-by-step how to apply and paint a skull on a tank and a Tiki design on a motorcycle fender. Available on DVD and VHS. Kar Kustom masters Craig Fraser and Dion Giuliano demonstrate the top pro tricks of spraying Kandy. 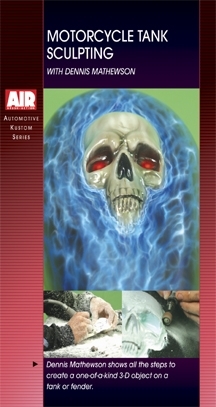 You'll learn how to use the House of Kolor urethane system, how to create kustom colors, underpainting, use of fine-line and other varieties of tape, laying out automotive graphics, use of Artool's Bone, Skullmaster, and Cheetah stencils, proper air pressures, how to render a pearl effect, how to airbrush freehand flames on a helmet, how to avoid streaks, how to apply and troubleshoot metal flake paint, use of the agitator cup, and much more. Now available on DVD. 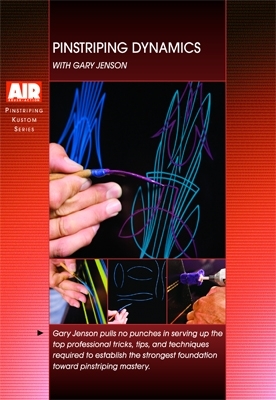 Learn freehand control, mechanics, and assembly of the airbrush, clouds, chrome, dagger/flare/rat-tail strokes, troubleshooting, maintenance, pricing, practice exercises, and much more. 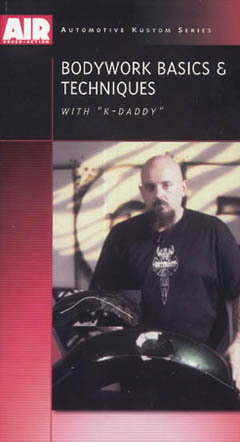 K-Daddy guides you step-by-step through the entire process of repairing dents, dings and scratches! You'll also learn, bodywork concepts, tools of the trade, how to use body hammers, dollies, grinders, &fillers, welding holes, safety issues, dent repair prep, how to even out metal surfaces, various uses of body fillers, sanding tools & techniques, how to use a D.A. sander, how to use welding equipment, how to prevent waring after spot welding, how to feather a smoot contour for optimal priming, sanding for primer application, how to use a guide coat, and more. Available on DVD. 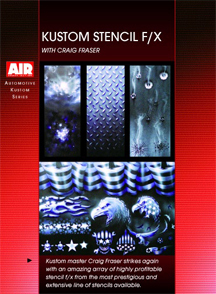 Automotive kustom masters Craig Fraser and Dion Giuliano demonstrate the top pro tricks of clearcoating. 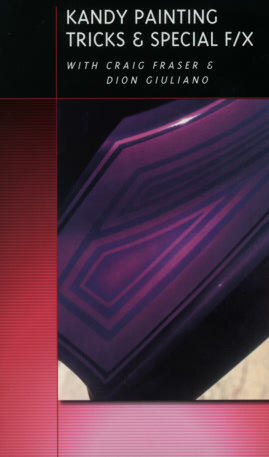 You'll learn how to use of House of Kolor basecoats, clearcoats, Shimrins, Kandies, pearls, and reducer, and how to prep your surface, use of fine-line tape, Auto Mask's tranfer tape system, how to touch-up lifted paint, how to create special F/X, how to render flames, pinstriping basics, safety precautions, info on various temperature conditions, machine polishing, buffing, wet-sanding, and hand glazing, how to protect against contaminants, and much more. Available on DVD.